After releasing beta 2 of macOS High Sierra only last week, Apple has now released macOS High Sierra beta 2 Update 1 seed to developers registered on the Apple Developer Program portal. This release follows hot on the heels of similar “Update 1” seeds for both iOS 11 beta 2 and tvOS 11 beta 2. This immediate re-release of macOS High Sierra beta 2 may have come as a little shock to some of the developers registered on the Apple Developer Program. There’s no real indication if this macOS High Sierra beta 2 Update 1 seed actually contains any notable or important fixes, improvements, or refinements over the initial beta 2 release seven days ago. However, if it does then they are likely to be small given the relatively short timescale between the initial release and this updated version. 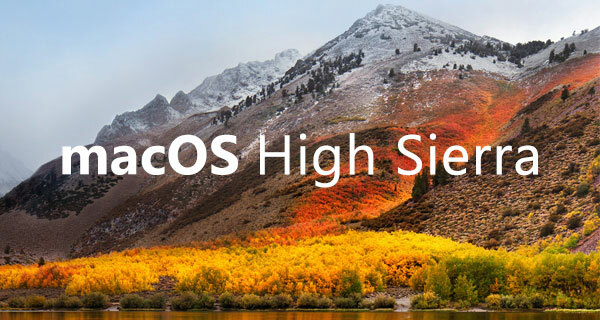 It’s likely more of a just a cursory release prior to macOS High Sierra beta 3 seed availability which is expected to arrive somewhere around next week in order to get the platform ready for its public showcase later in the year. Apple’s latest update to the Mac operating system comes with a host of wonderful new features. Those purchasing a new Mac in future with High Sierra pre-installed, or those upgrading when it is released, can expect to benefit from new graphics and video technology, as well as the introduction of the Apple File System (APFS) which was debuted in iOS not that long ago. Anyone with the correct credentials can grab the latest beta 2 Update 1 build from the Updates tab in the Mac App Store or grab the installation file directly from the developer portal over at developer.apple.com. still no sign of the public beta like the admin posted without saying.. edit apple may have taken down the page so check back here to find out when the registration is back up..
anyway.. admin doing a great job .. respekk! !